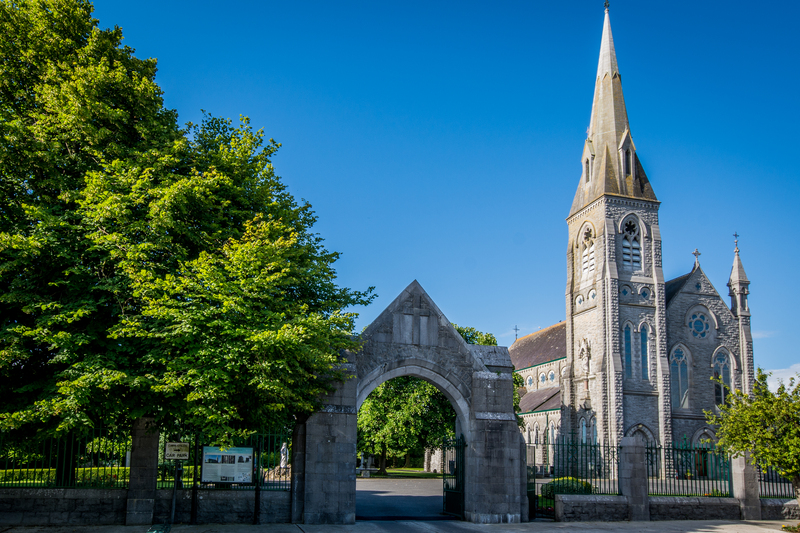 The Cathedral of St Brendan is the cathedral church of the Roman Catholic Diocese of Clonfert. The foundation stone was laid on 10 October 1897. Built in a Neo-Gothic style, it was designed by architect William Byrne. The cathedral was completed in 1902 and is now a treasure house of Celtic Revival art. The cathedral features stained glass windows from the in uential studio An Túr Gloine, comprising Michael Healy, Evie Hone and Sarah Purser, and carvings by John Hughes and Michael Shortall. Metalwork and timber carvings were carried out by local crafts people.